Gerresheimer AG, one of two world’s leading suppliers to the pharma and healthcare industry, further invests in the growth market ofcomplex plastic systems for pharmaceutical and medical applications. Production capacity is being extended at the southern German production facility in Pfreimd at the value of approximately EUR 25 million. 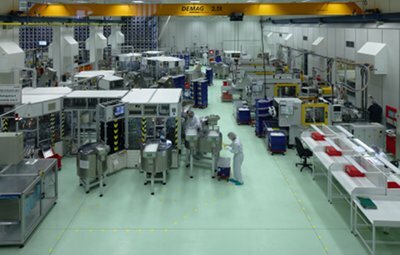 High customer demand led to the decision to among other investment to construct a new production hall where medical plastic systems will be manufactured in clean room environments with state-of-the-art injection moulding machines. As a result of this project around 130 new jobs will be created in Pfreimd. “There has been a sharp increase in demand for medical delivery systems which are simple and safe for patients to use. These include injection systems, insulin pens and inhalers. We are increasing our production capacity so that we can drive future growth in this market,” commented Uwe Röhrhoff, CEO of Gerresheimer AG. The Plastic Systems division is now one of the company’s fastest-growing divisions. Gerresheimer Medical Plastic Systems produces insulin pens for diabetics, inhalers for asthma sufferers, lancing devices and disposable laboratory articles for leading pharma and medical technology companies – from the initial design sketches, through tool making and production to packaging and just-in-time delivery. Inhalers, diabetic supplies such as insulin pens, lancing devices, lancets and disposable laboratory articles are some of the products manu-factured in Pfreimd. The plant currently has 550 employees.